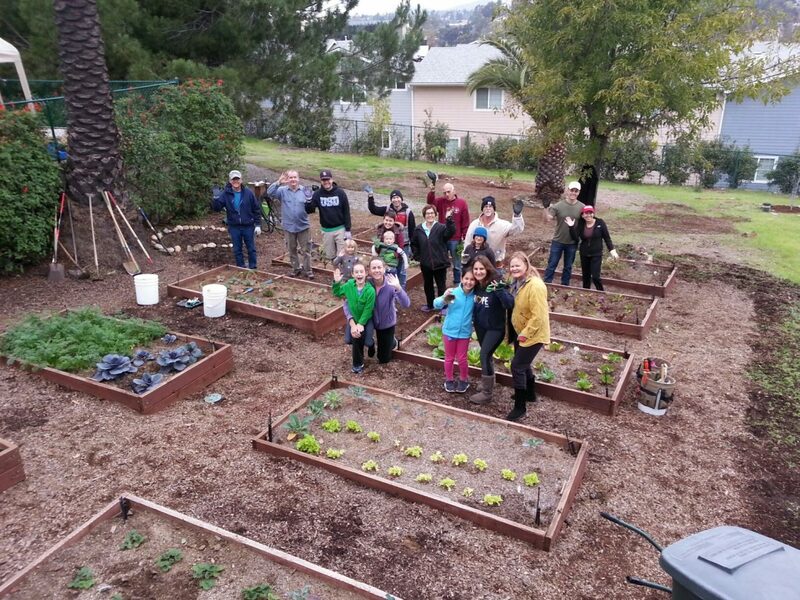 The school garden committee meets every six weeks on a Saturday morning to do general garden maintenance, prepare the beds for planting, or any other seasonal work that needs to be done. 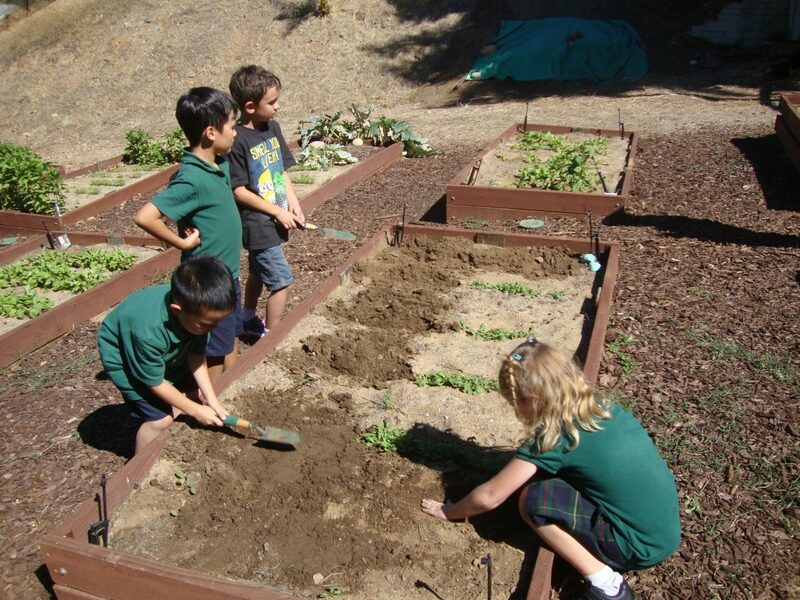 The garden committee consists of faculty, staff, parents and parishioners. 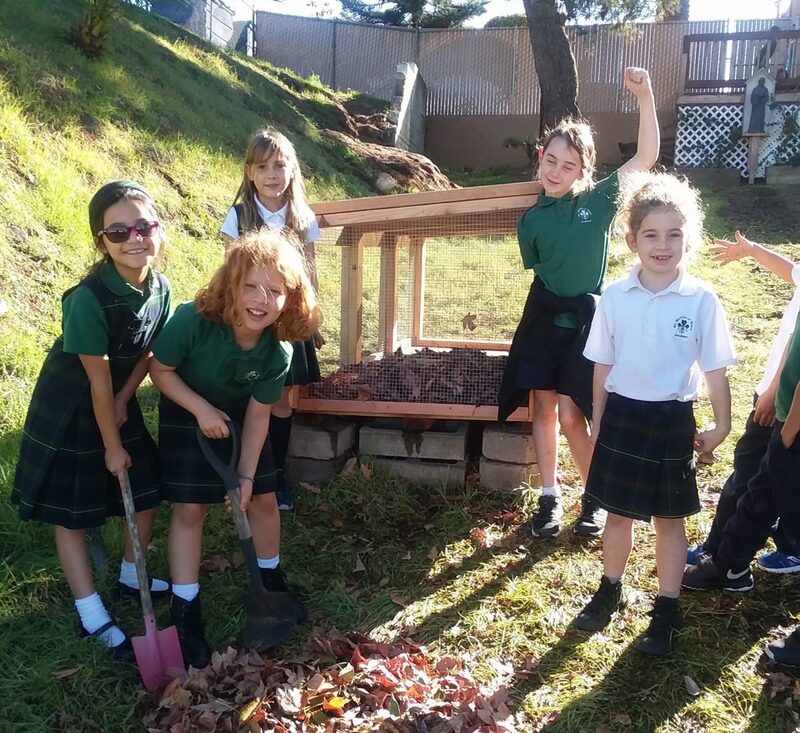 St. Martin Academy is grateful for the support of our local and global community in helping with enhancement and development of the garden. 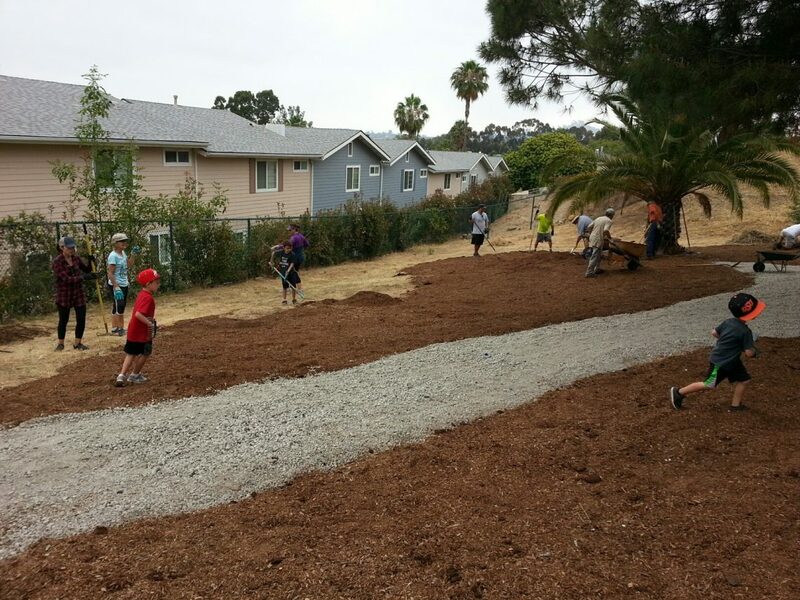 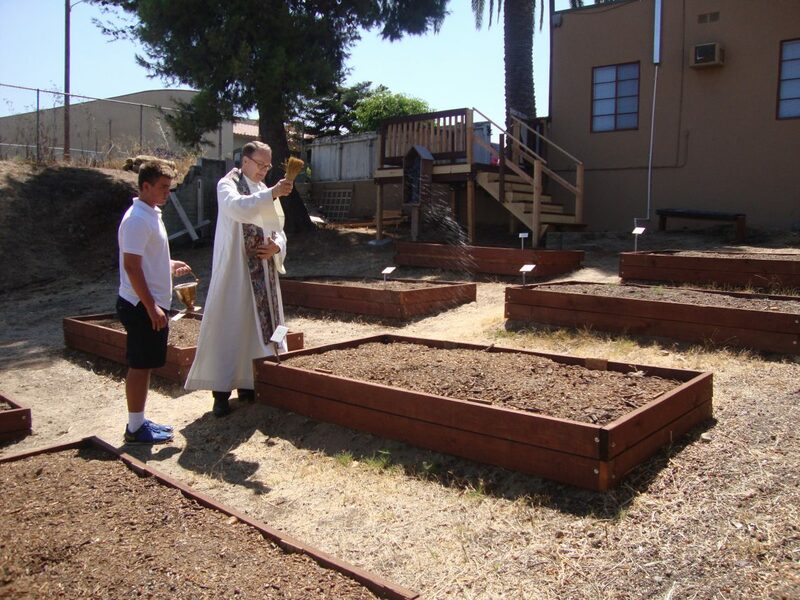 In 2016, the school received a Catholic Relief Services grant award of $2500 which allowed us to purchase the material to build 10 raised beds and put in an irrigation system. 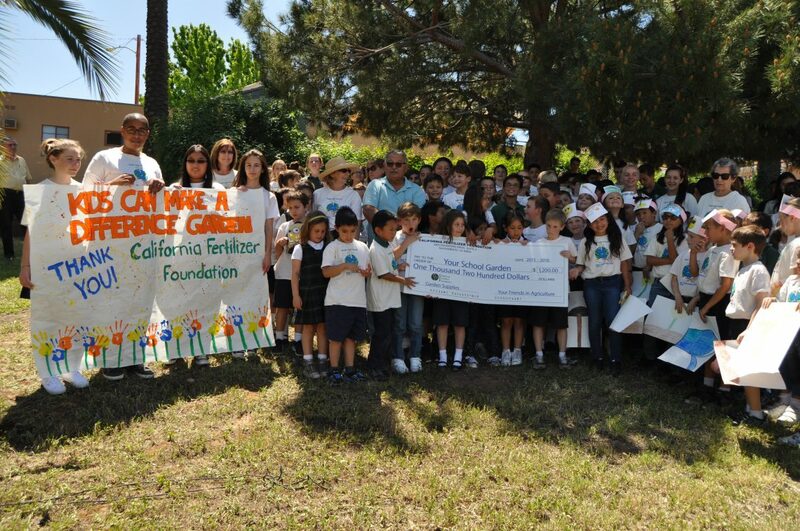 The school received a grant of $1200 from the California Fertilizer Foundation which covered the cost of good soil in 2017. 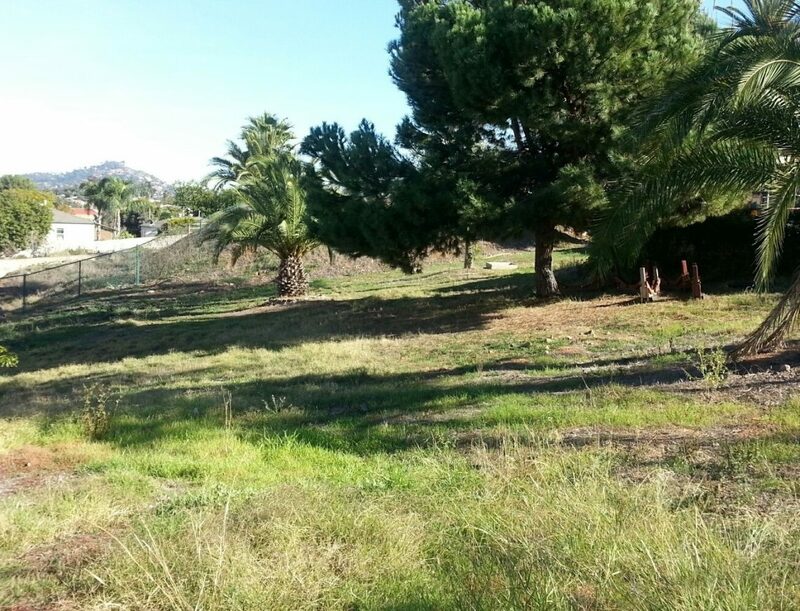 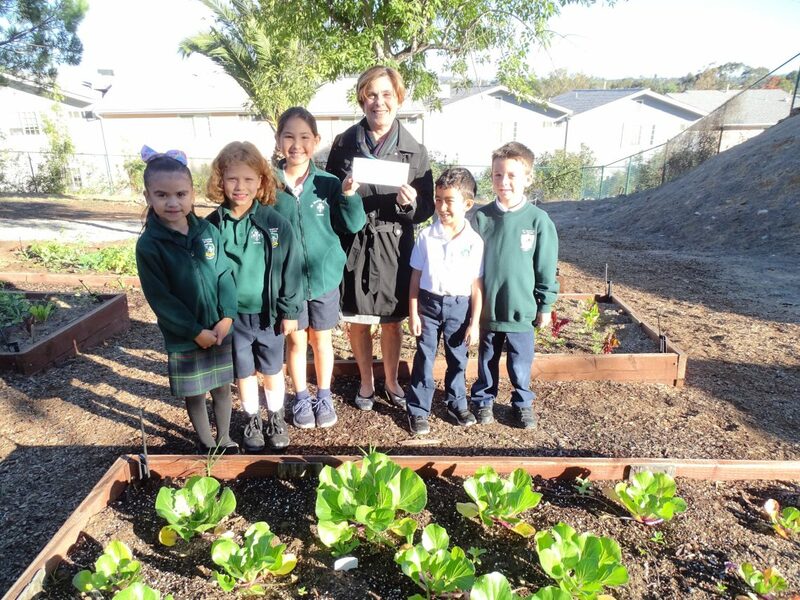 The Village Garden Club of La Jolla contributed $300 towards the purchase of citrus trees in the Fall of 2018. 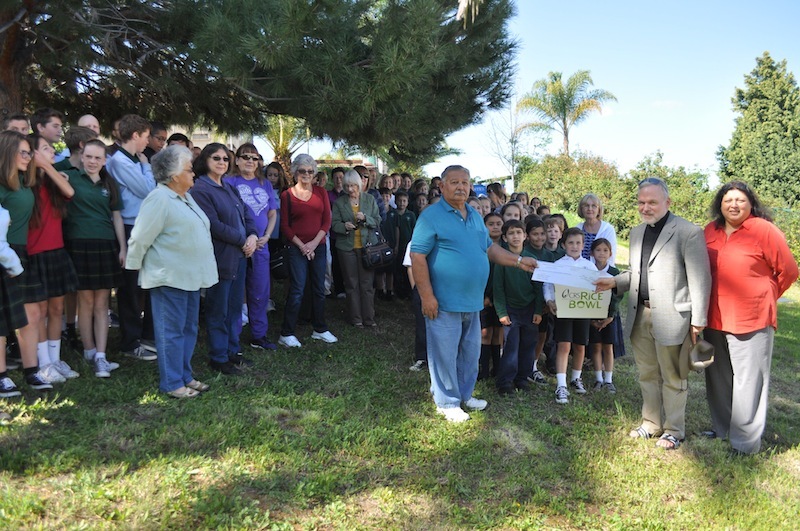 Recently the school received a donation of $2500 from the Father Sproul Memorial Fund to complete the citrus tree project which includes a drip irrigation system. 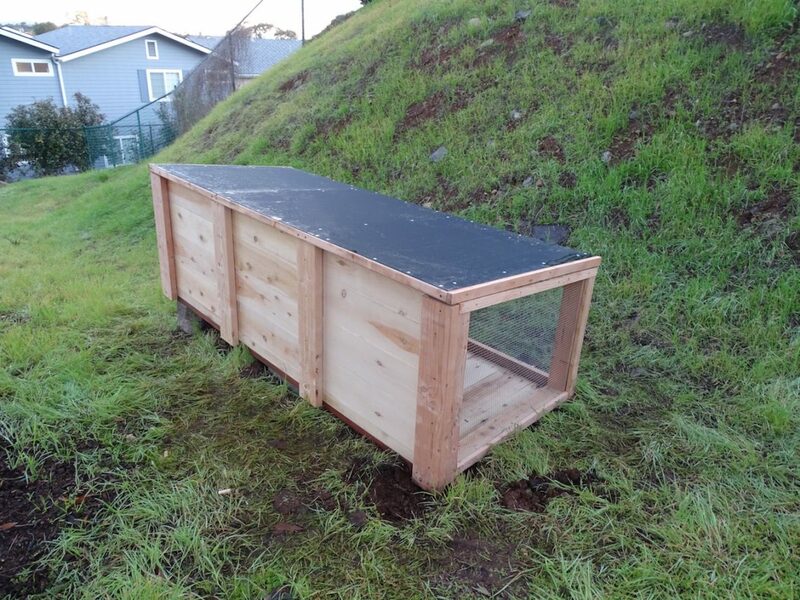 Thank you to Chris Hollister who built a new compost bin for the school. 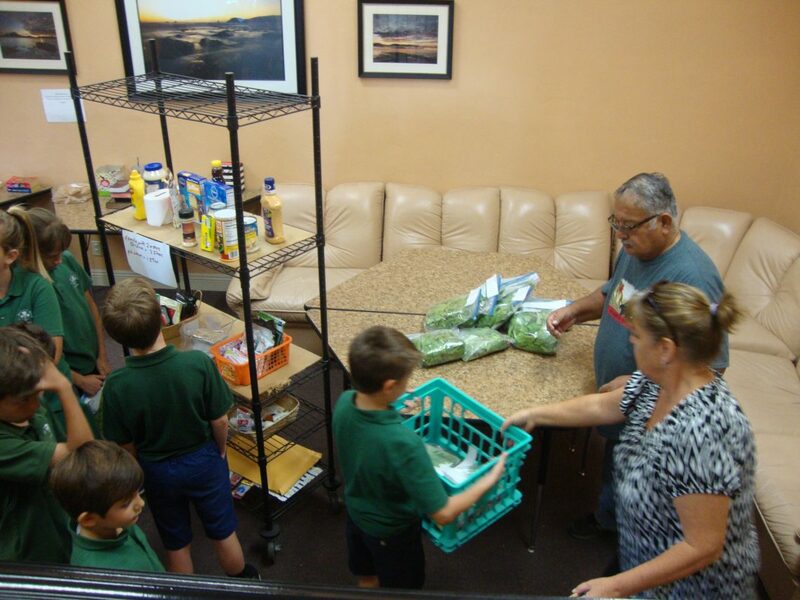 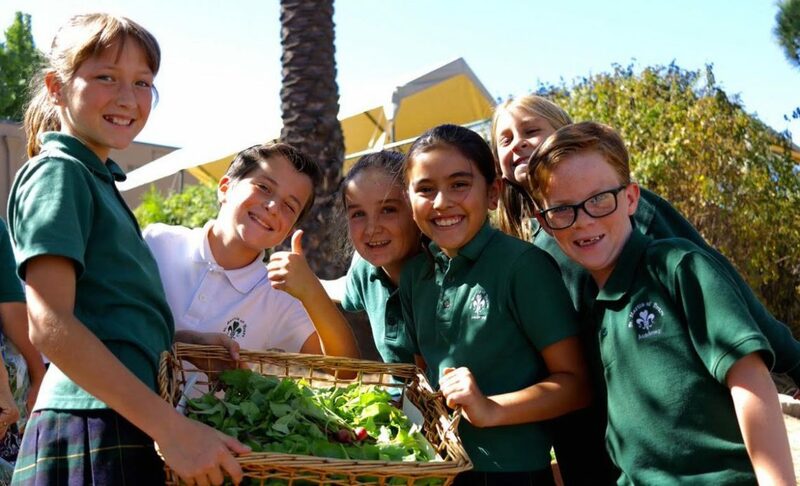 The Food Assistance Center received over 150 bags of produce, consisting of lettuce, swiss chard, arugula, carrots, radishes & kale during the 2018 school year. 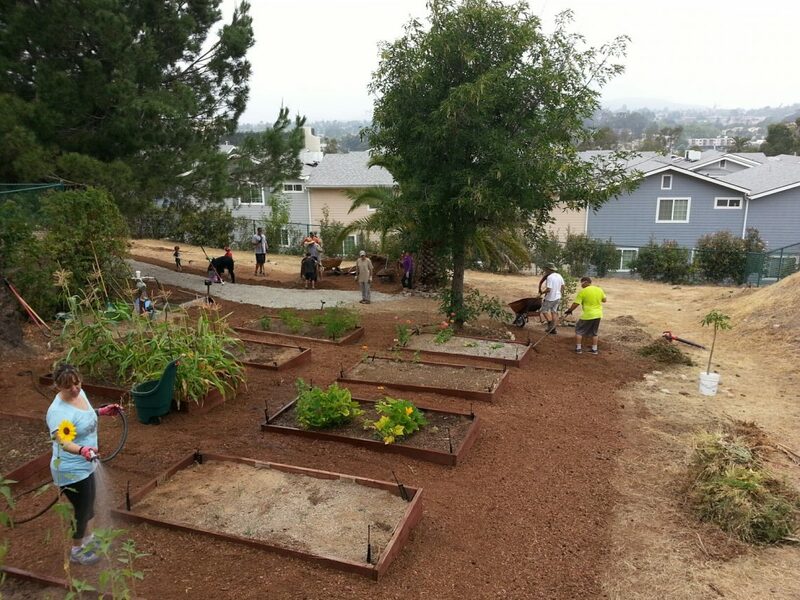 Potatoes, corn & herbs were also grown. 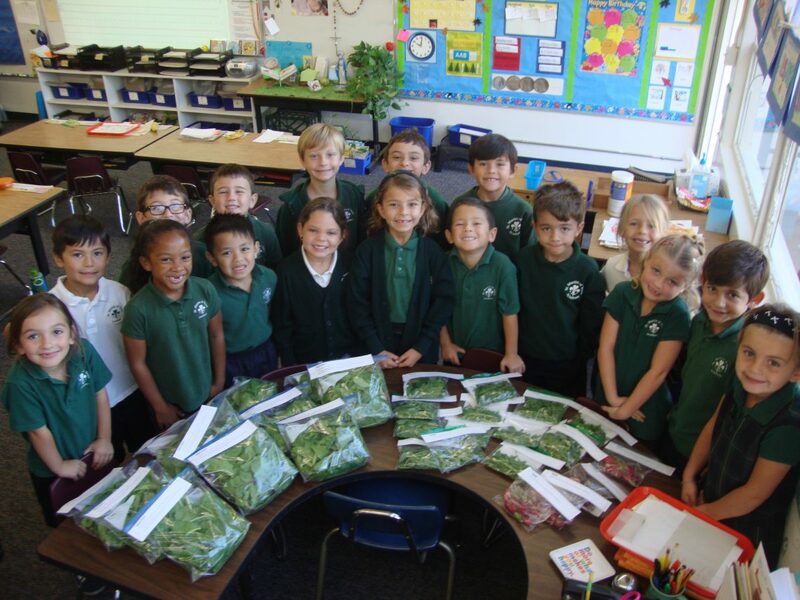 Students were able to taste different herbs and take home a variety of garden vegetables. 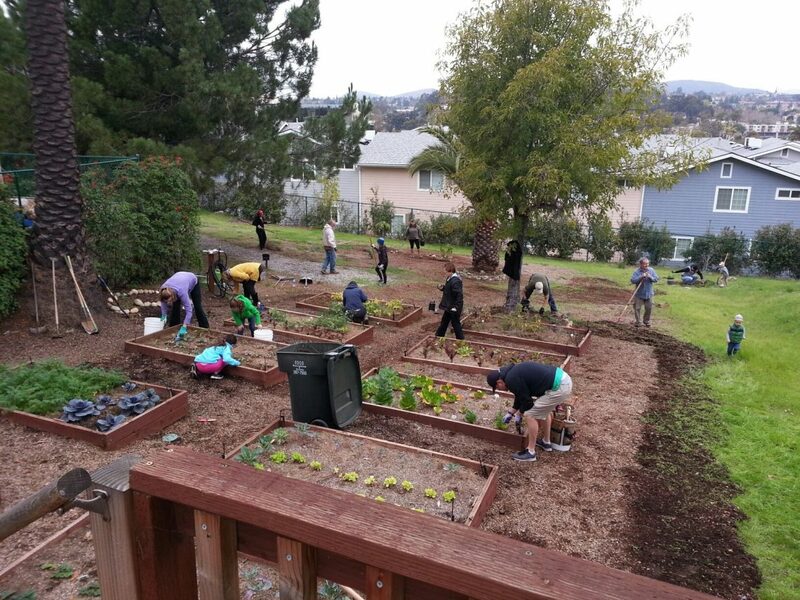 The planting & weeding begins! 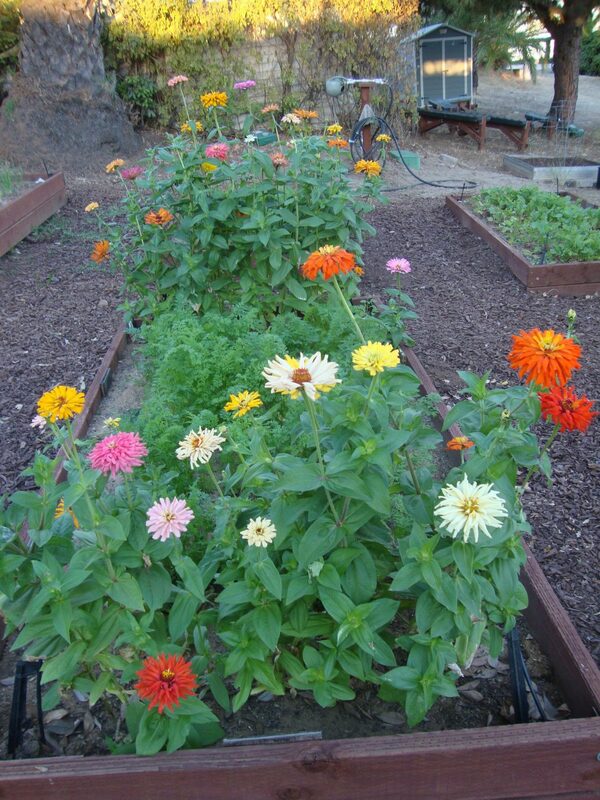 Zinnia’s were planted to bring in butterflies & bees. 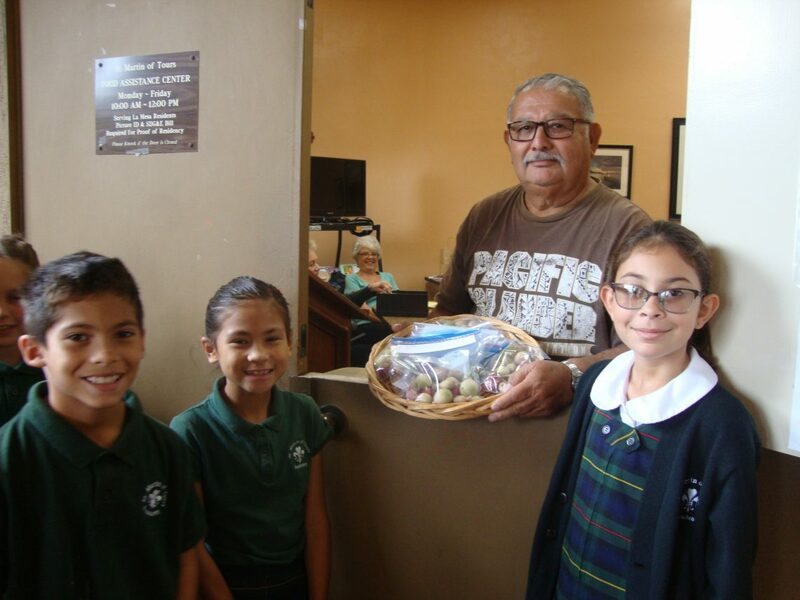 Baby potatoes for Food Assistance! 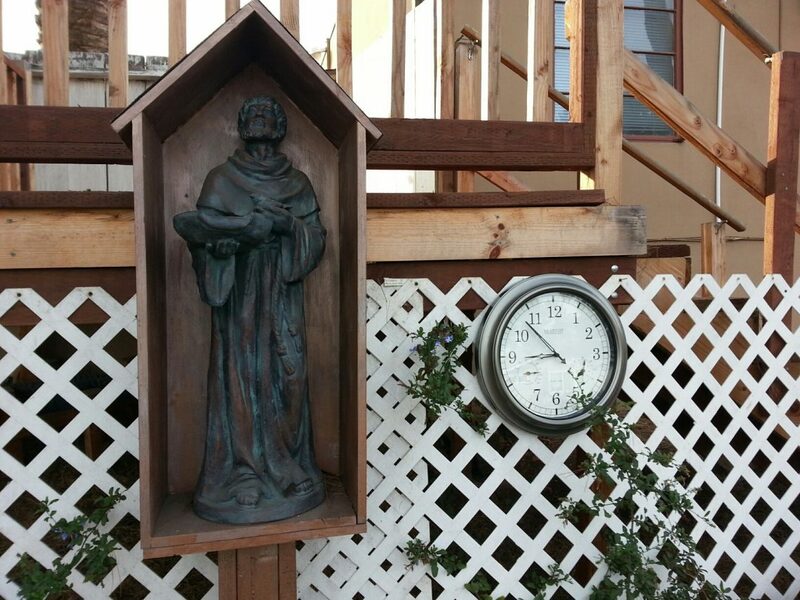 A St. Francis statue & garden clock was donated to the garden. 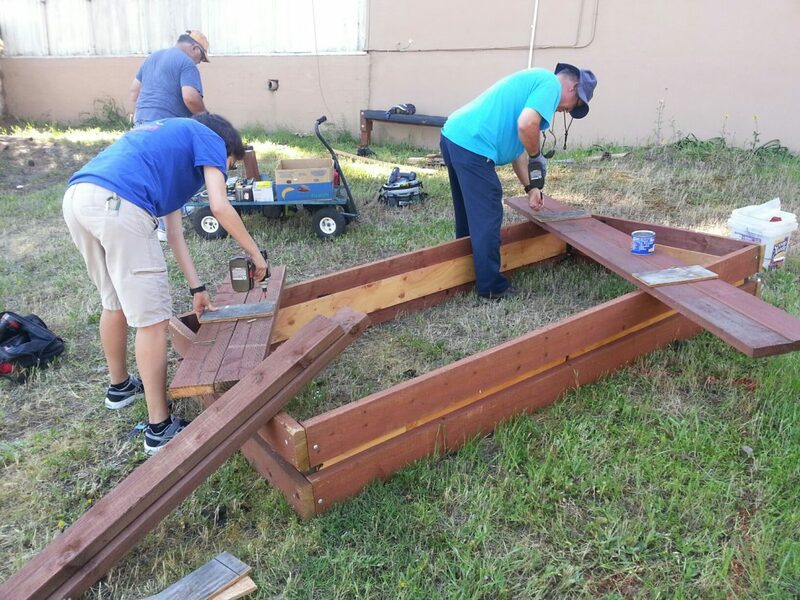 Building the 10 raised beds. 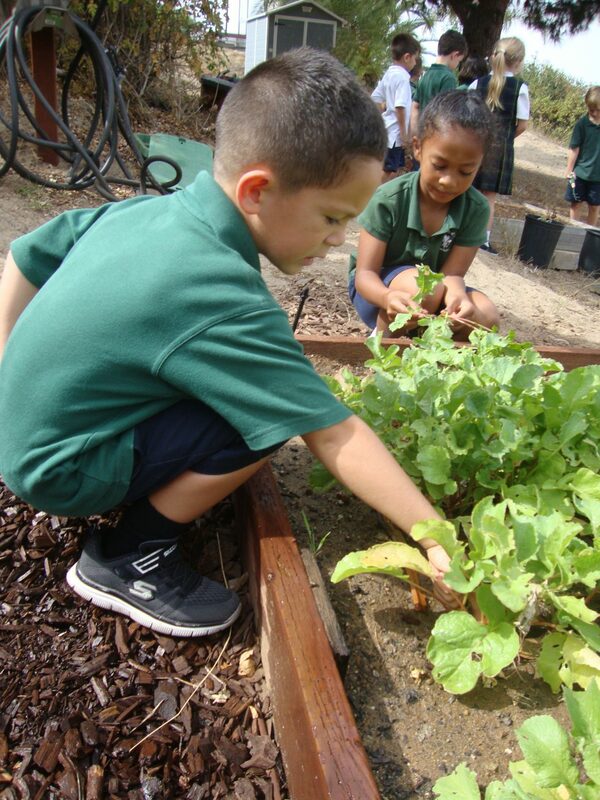 CRS Rice Bowl Grant Award of $2500.